Building high quality learning environments. Engaging students and honoring student voice. The Turnaround Principals Work Group (TPWG) brings together school principals who have succeeded in turning previously underperforming schools into schools in which students are experiencing success and achieving significant educational growth. 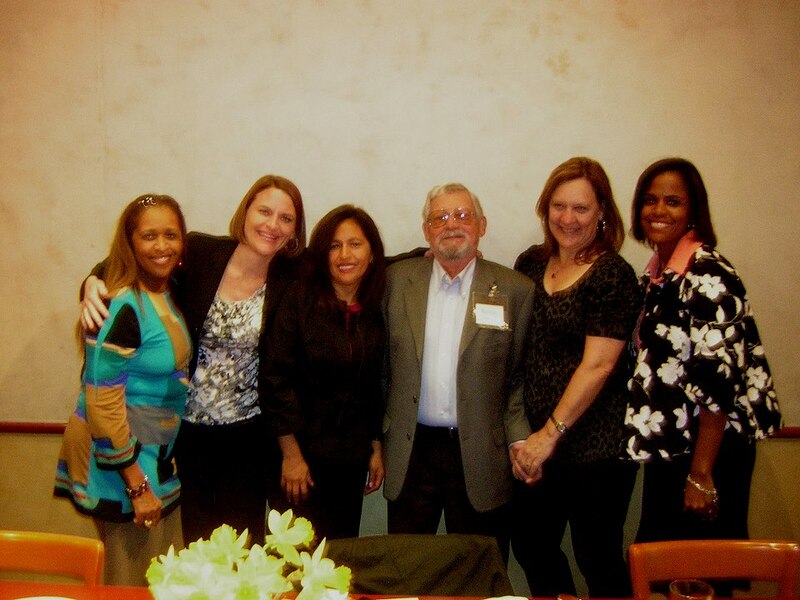 Since 2013, AES has been working with a core group of these educational leaders through its TPWG to provide a network of support and strategic collaboration among successful turnaround principals in Northern California, and to identify ways to have an impact beyond their individual schools. 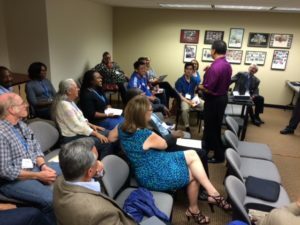 Through the TPWG, participating principals share with other interested educators, administrators and legislators the proven and research-based practices they utilized. An inspiring documentary about the groundbreaking work of two visionary principals from the TPWG and their dedication to improving their schools’ climate, culture and academic achievement. Leading with Heart: Principals Whose Schools Succeed is a compelling documentary exploring the pioneering ways school leaders in the Sacramento area are tackling the barriers to learning and success facing their most vulnerable students. Focusing on the work of two visionary principals, Gloria Ervin of San Juan High School, and Roxanne Mitchell of Foothill Ranch Middle School, the film features in-depth interviews with the principals, plus commentary from teachers and students, to provide a window into the complex and challenging work of transforming underperforming schools. For these principals, whose schools are in communities challenged by poverty, violence and economic hardships, success for their students began with making them want to come to school by creating a safe, welcoming, engaging and supportive environment. Reconstructing the steps they took, each principal identifies what strategies they used with students, teachers, parents and teachers unions to build a positive school climate and culture as the foundation of a high quality learning environment. Other principals from neighboring districts also offer observations about changing school climate and culture at their own schools, highlighting the commonalities in approach taken by all of these successful principals. Read the Bio’s of the Turnaround Principals Kerry Callahan, Gloria Ervin and Roxanne Mitchell. What is a “Turnaround” School and Principal? A school is that is designated in the lowest performing 5% of all schools in the nation, and has consistently not met Annual Yearly Progress (AYP) required under No Child Left Behind is called an underperforming or “failing school.” Under federal guidelines this school must “turnaround” is low performance in order to avoid closure. A turnaround school is a formerly failing school that has been through an intensive process to improve it AYP. A turnaround principal is a principal who has effectively lead his/her school out of “underperforming” or “failing” status by improving academic outcomes and test scores. More often Turnaround principals are able to improve other indicators at the school as well such as student attendance and school climate and culture. How were Turnaround Principals identified? In all cases, the principals focused first on creating a high quality learning environment by improving the climate and culture of the school and instituting a psychology of success (defined by Shindler, et. al., 2010, as a high degree of organizational intentionality, collaborative effort, reflective practice and a pervasive orientation toward achievement). 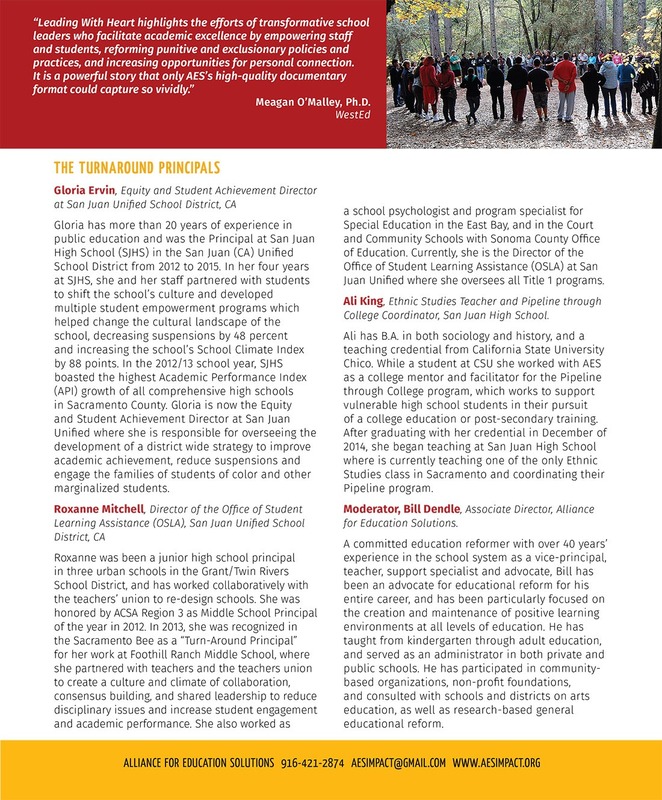 This PDF document highlights the achievement, growth and supporting strategies used at Pioneer High School during Kerry Callahan’s time as Principal. Kerry, a member of the Turnaround Principals Workgroup worked closely with her staff to develop a culture and climate of learning to turn around this underperforming high school.